Last month the Bay Area saw 2014's first Spare the Air alert, even as we face an extra-dry fire season with prospects of worsening air quality. On the bright side, we're in for some beautiful sunsets! Air pollution scatters light, producing vivid reds that have been faithfully captured by landscape painters over the last 500 years. Researchers in Greece recently found that sunset paintings by artists such as J.M.W. Turner and Edgar Degas accurately reflect contemporary pollution events—specifically, the 54 major volcanic eruptions since 1522. As the industrial age dawned and man-made particles began to fill the air, the paintings tracked that too. "Race Horses," painted by Edgar Degas in 1885, shows a sky reddened by volcanic ash from Krakatoa. Volcanoes were polluting the air and altering the global climate long before we humans got in on the act—and they haven't slowed down since our arrival. Fallout from the catastrophic 1883 explosion of Krakatoa in Indonesia colored skies on the other side of the world and cooled the entire planet. But these dramatic effects are short-lived; after a few years the ash clears and the weather returns to normal. Human air pollution is more insidious, a gradual accumulation of emissions rather than a great big geologic belch. But the changes wrought are harder to reverse. Generation after generation of city-dwellers suffer from breathing ground-level contaminants, while other chemicals contribute to the greenhouse effect and waft up to corrode the ozone layer. Christos S. Zerefos, a professor at the Academy of Athens who led the study on pollution in paintings, actually began his career researching ozone depletion. His work helped bring the resulting increase in UV radiation to the world's attention. This latest paper may seem whimsical by contrast, but in fact a new source of historical data could help guide today's climate models. This R/G ratio was then used to calculate pollution: specifically, how many tiny particles called aerosols are suspended in the air. Aerosols are produced both by nature (dust storms, volcanoes, wildfires) and by humans (cars, factories, land-clearing fires). Complicating matters is the fact that human-induced climate change can increase dust storms and wildfires . . . Fortunately, the causes don't matter to the calculation. Aerosol optical depth, or AOD, simply measures how polluted the air is at a given time and place, regardless of the pollution's origin. 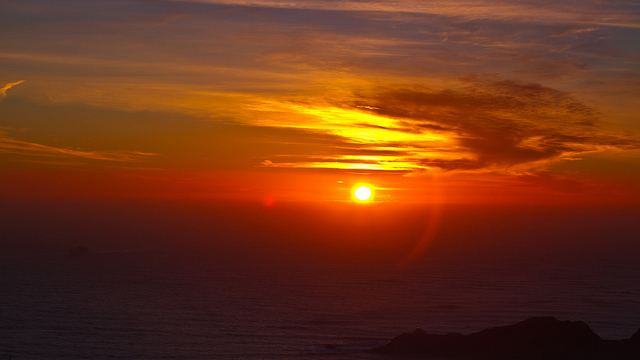 The researchers were able to use the R/G ratios from the sunset paintings to predict the AOD of the air at the time of painting: a redder sunset means a higher AOD. These AOD values were then compared to independent measurements of atmospheric pollution that covered the same time range as the paintings, such as ice cores. Aerosols are deposited in snow on glaciers, which turns into a new layer of ice. Drilling down from the surface to sample these deeper, older layers provides information about historical air quality—which matched the data from the paintings. Zerefos and his colleagues also tested their painting-to-pollution technique with a modern experiment. While a dust cloud from the Sahara was passing through the sky, they asked a contemporary landscape painter to record the sunset. 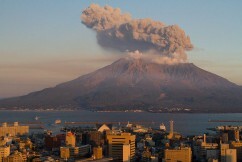 He did it again after the dust cloud had passed. 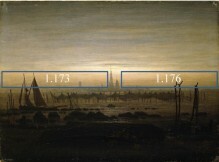 Although the artist was unaware of the atmospheric changes, the R/G ratios in his two paintings matched independent measurements of AOD during and after the dust cloud. Paintings as a new source of historical data could help scientists better understand the effects of current and future pollution, including climate change. The amount of aerosols in the atmosphere is integral to climate models. A new way of estimating aerosols in the past might help make more accurate predictions for the future. 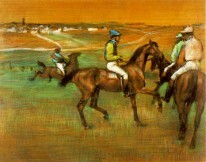 And the fact that Edgar Degas accidentally encoded atmospheric data in “Race Horses” is just really darn cool.